5 day bookings: Monday - Friday. Weekend bookings: Friday - Monday. £100 Deposit non refundable to reserve bookings. Balance Payable 8 weeks prior to booking date. An additional £100 bond to cover for any potential damages which will be refunded at the end of the holiday when all checks are carried out and no damages. 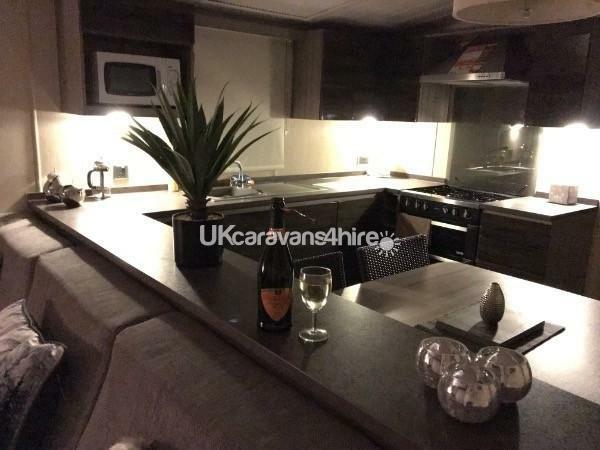 Here we have a Privately Owned Beautiful Contemporary Holiday Let on "CARDIGAN BAY" which is classified by Haven "Platinum Plus" it is fully equipped to provide you with a home from home holiday experience. 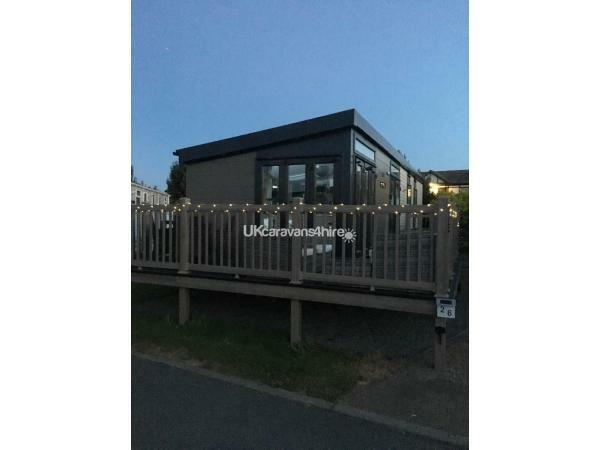 The Contemporary Holiday Let has 2 bedrooms that sleeps up to 4 people with an additional pull out bed in the lounge area if required for a further 2 people. 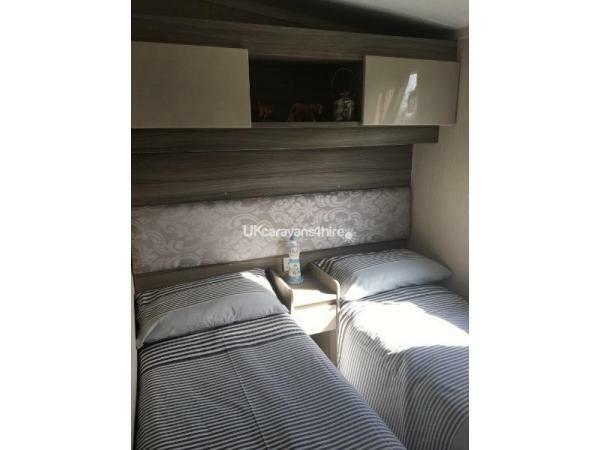 The Twin bedroom comprises of 2 single beds and fitted wardrobe and units. 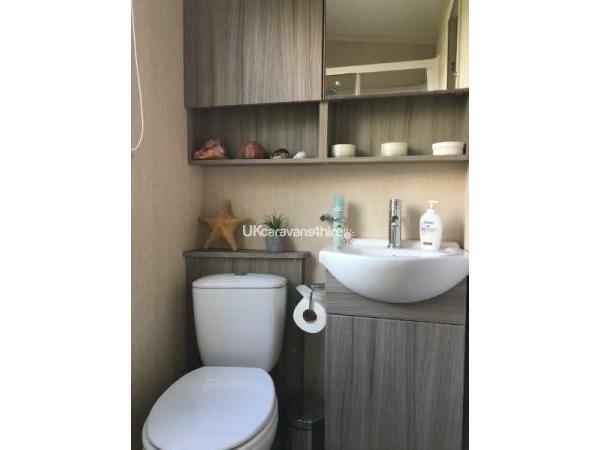 The Main Bathroom comprises of a shower, toilet, Hand wash basin with built in unit and Vanity unit. 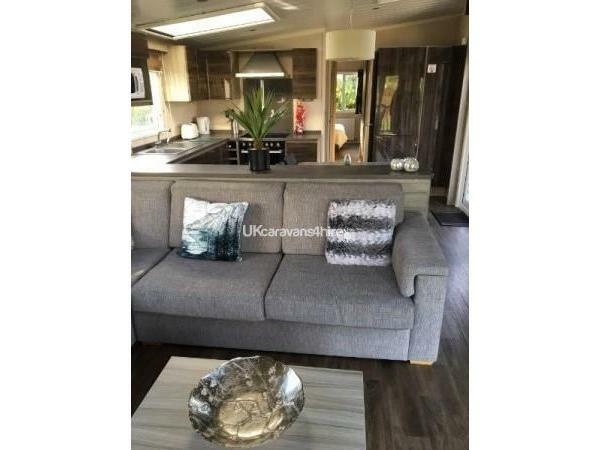 The lounge area comprises of a modern comfortable corner suit, 40" HD TV with Freeview, DVD Player, and an assortment of DVD's, bluetooth speaker and selection of board games. 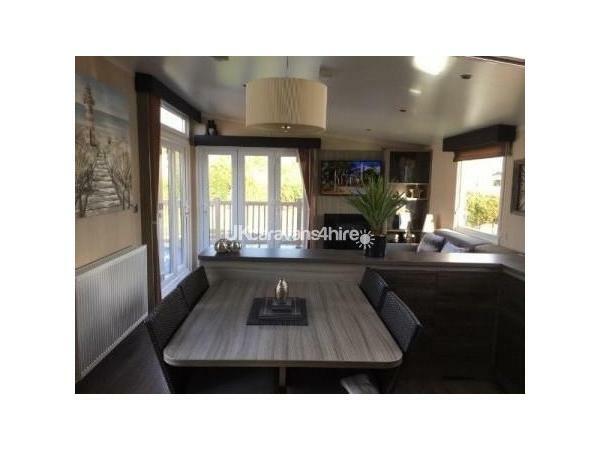 Please note for your comfort the holiday let includes full central heating, privacy blinds and double glazing. 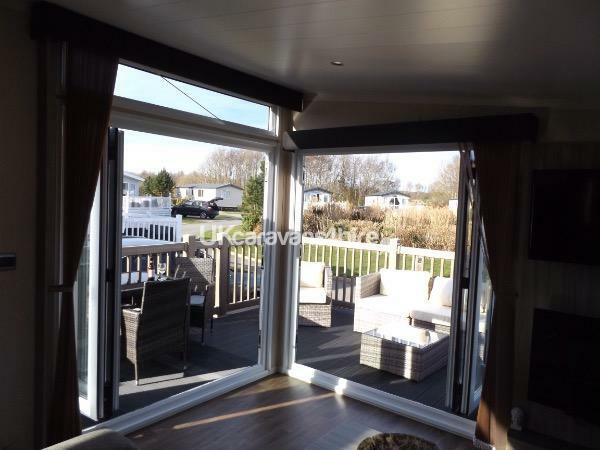 The outside area comprises of Double bi-folding doors leading onto he spacious decked area which is furnished with beautiful contemporary furniture. 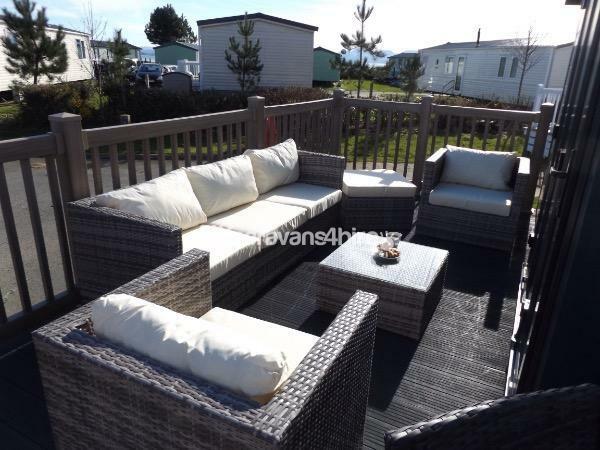 The Holiday Let is situated in a idyllic cul de sac on Cardigan Bay with a 2 minute walk to the beach. Bedding included in the price for full week bookings.